You know, not too long ago the only spaces in your home that you had to worry about designing were those that are inside. But, that’s simply not the case anymore. Even in the coldest climates, homeowners are paying an increasing amount of attention to the design of their outdoor living spaces. Truthfully, it’s for good reason. Your outdoor living spaces can really change the whole feel of your home, offering you and your family a space where you can enjoy one another’s company – not to mention offering a space where you can throw a killer party. 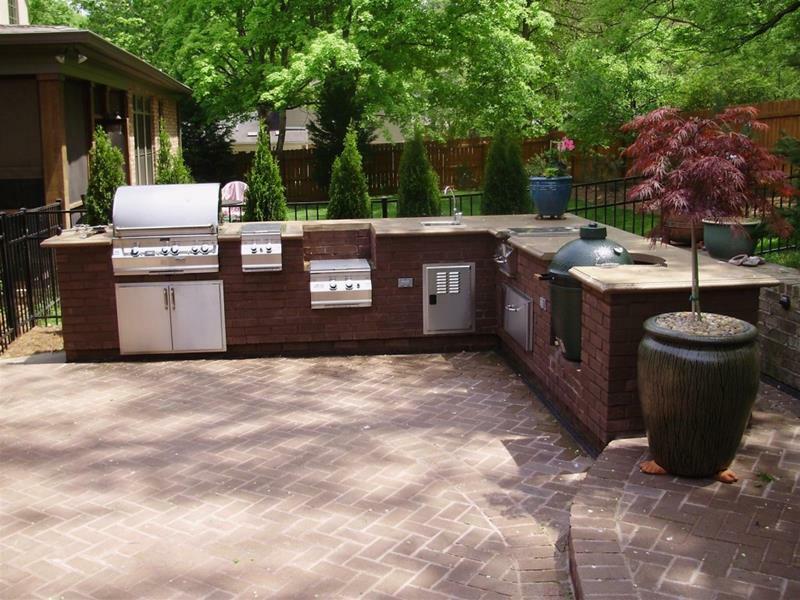 Now, there’s a lot to think about with outdoor living spaces, but one thing you’ll be seeing more and more of is the outdoor kitchen. It’s simply not enough anymore to have a grill on the porch. You have to have a whole area where the grill master can go to work. It may seem like overkill, but trust us… Once you have an outdoor kitchen of your own, you’ll never go without one again. 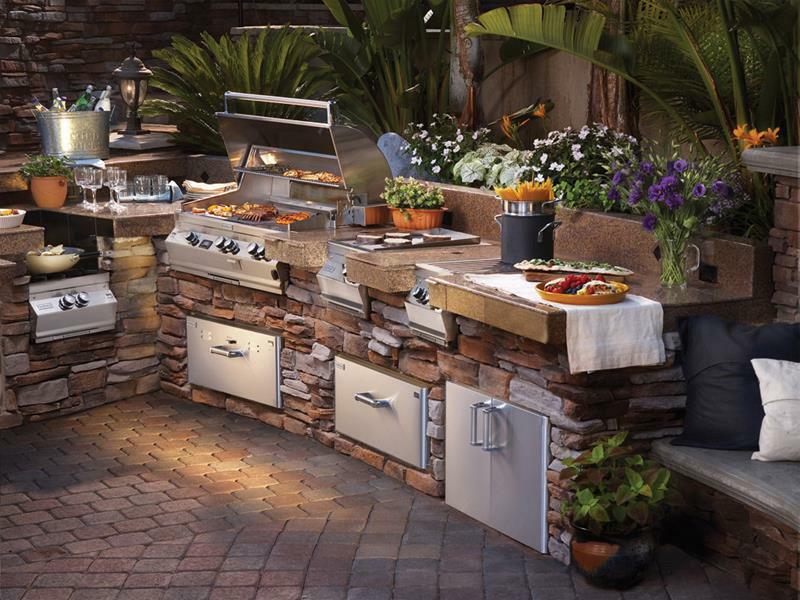 Not sure what goes into an outdoor kitchen, or are you looking for inspiration for you one of your own? Let us encourage you, then, to check out these 47 amazing examples! 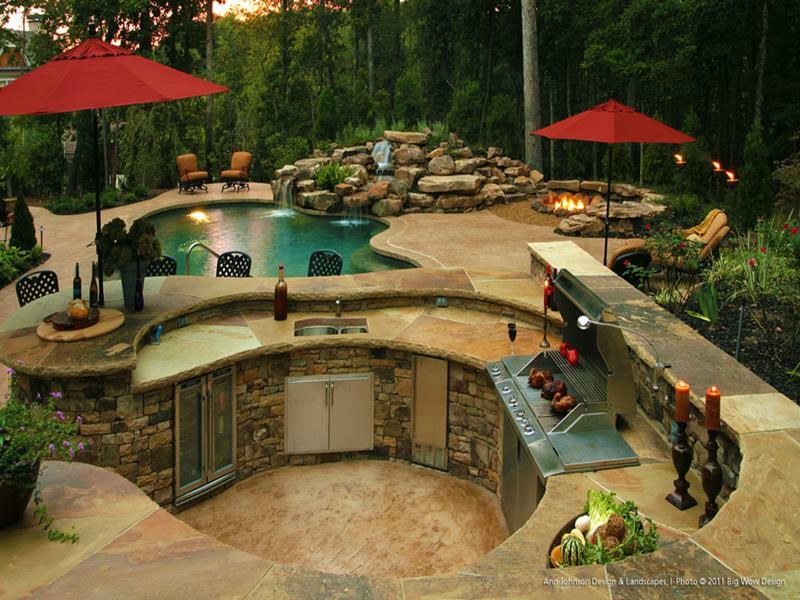 You can have the best of two worlds when you install a fire pit into your outdoor kitchen’s countertop. 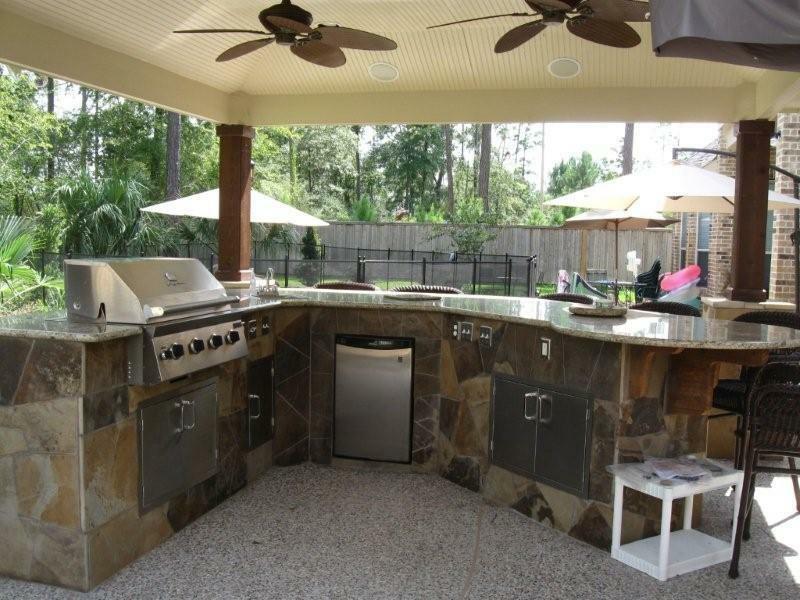 Having a refrigerator in your outdoor kitchen is ideal, whether it’s for holding food or for chilling adult beverages. Ceiling fans can be a great way to keep yourself cool while you’re cooking outside on a hot day. 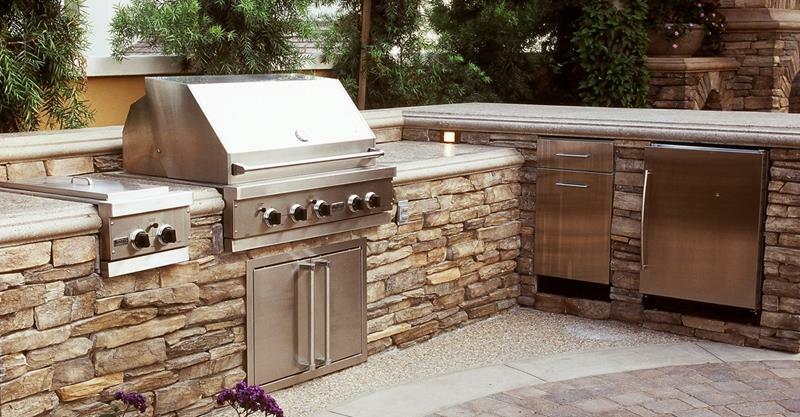 Putting your outdoor kitchen right next to the pool ensures that the grill master is never far away from the action outside. You can use a number of different materials to build your outdoor kitchen, but red bricks are ideal for a classic look.